This is a 2-full storey, 3-Bedroom with 2 toilet and bath Single firewall house unit that you can avail either as BASIC or EXPANDED balcony. 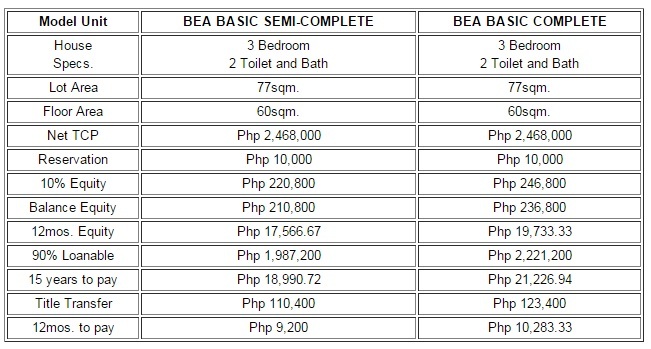 Bea House Unit is located in Imus, Cavite which is the next city of Cavite near Metro Manila. It's just about 25 to 35 minutes away from Mall of Asia.